Wash the tomatoes. 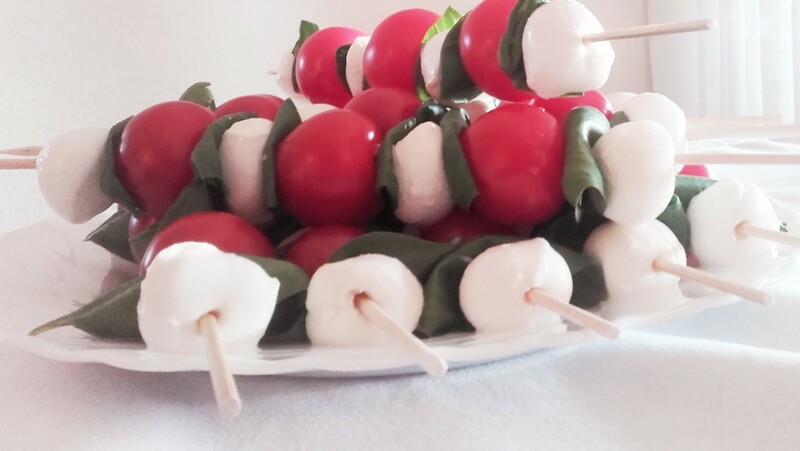 Pat the mozzarella balls dry with kitchen paper. 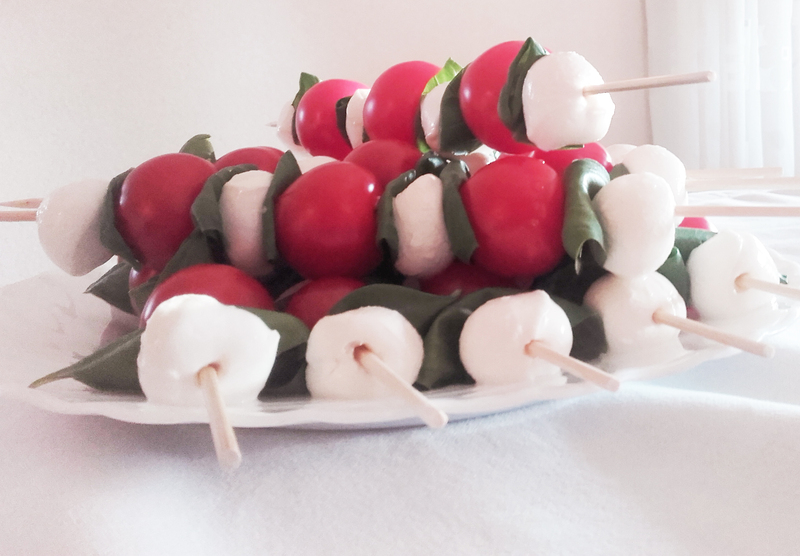 Place a mozzarella ball on the skewer, then add a basil leaf (folded if necessary) and then finish off with a tomato. Repeat three times and end with a mozzarella ball.